Each taste is followed by hysterical laughing, jumping, and dancing around the room. The most "dégoûtant" -- "disgusting" -- of the bunch to these 5th graders might be the wine and beer, but the best reaction comes from the various spicy mustards. I didn't know I was laying out such an adventurous meal. I also didn't really know whether to use the word "dégoûtant" or "dégueulasse". Both of these mean "disgusting", yet I've learned (the hard way) that there's a difference. "Dégoûtant" is the more polite version, and comes from the roots meaning more literally "distasteful". "Dégueulasse", on the other hand, which is not to be said while chaperoning classes of small children (again, the hard way), is more like "revolting" but worse. If you break down the word, it kind of means, "something that shouldn't be put in your f***in' piehole". After a lifetime of using this word with a smile on my face, I finally know it's just not that nice to say. In the same vein, "je m'en fou" and "je m'en fiche" both mean "I don't care." But "je m'en fou" means something closer to "I don't give a F***" and therefore should not, I've learned (the hard way), be said while chaperoning classes of children. By now you are probably amazed that I'm even allowed to keep chaperoning. "Je m'en fiche", on the other hand, means something like "I don't give a fig." Very harmless. And finally, the one thing it turns out that you can say while chaperoning a class of children is "Taisez-vous!" which I always heard translated as "Shut Up!" and therefore, I always felt, would be inappropriate to say to kids. It turns out, it's a perfectly polite form of "Be Quiet!" (If you want to tell somebody to "Shut Your F***in' Mouth! ", go with "Ta Gueule!") Funny enough, even though I've finally learned this lesson, I can't bring myself to say "Taisez-Vous!" to kids, and I always go for something that translates better in my head, like "Calmez-Vous!" 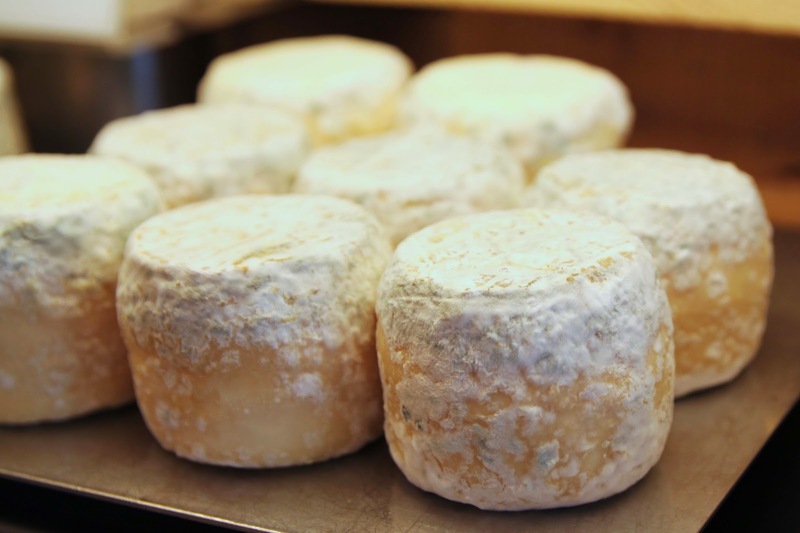 Crottin du Berry, meaning "The Turd from Berry" or "The Crap from Berry" or even "The Sh*t from Berry" is a lovely raw goats' milk cheese. Generally a farmhouse cheese, the one I taste is from the Ferme de la Brissauderie. These moldy, crusty, multi-colored little turds are gems that hail from Berry, a historic name of an area that roughly covers the modern-day departments of le Cher and l'Indre in the Centre region, just south of Paris and near the Loire valley. The cheese is a very firm, almost rock hard, delicious goat cheese with a perfect balance of salt and cream. You can't spread it on your bread, but on the plus side, you can just pop chunks into your mouth plain. The wonderfully crumbly texture slivers will melt in your mouth, eventually. "Crottin", meaning "turd' or "crap", is a very harmless way of saying "merde", a more vulgar pile of crap, that is. 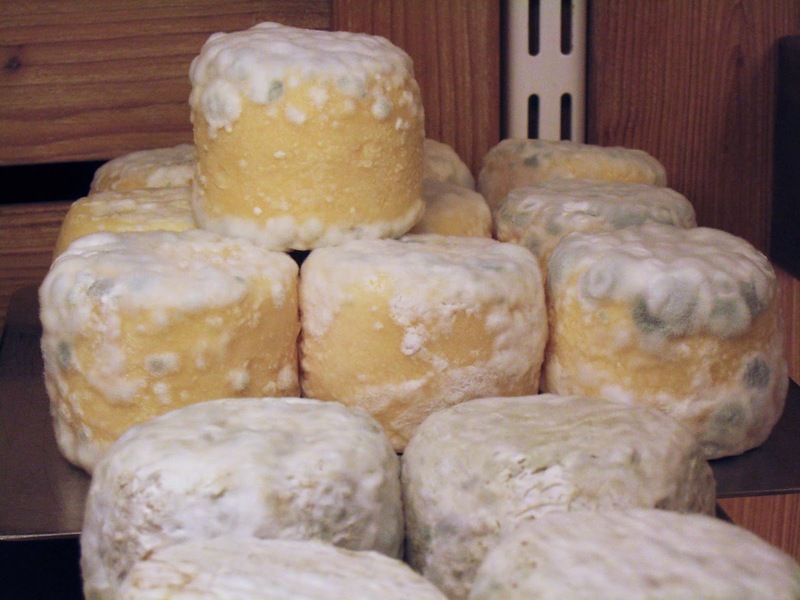 Besides the double-trouble way to refer to a pile of crap, many non-French, non-cheese-eating people might call this mold covered Crottin du Berry, named after poop, "dégoûtant". Others might call it "dégueulasse". I call it delicious.